The Vitesse was exported directly to Switzerland May 1964 (Export car LHD). 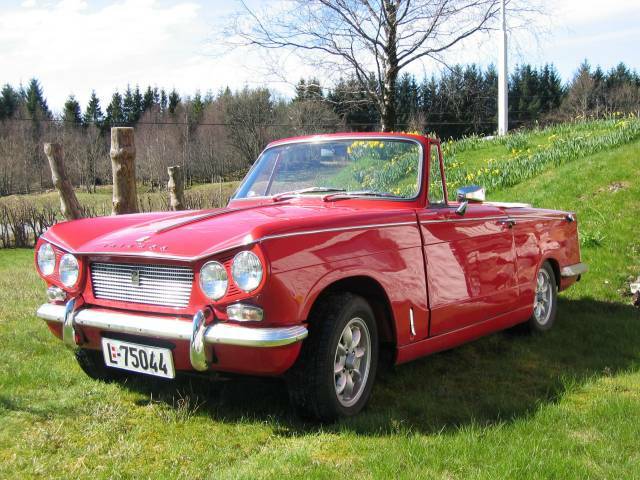 The British Motor Industry Heritage Trust certificate shows that it was built May 6, 1964 and despatched May 19, 1964. Not much history known here, apart from a Swiss V5 stating that it was red in 1982 (or 1987), still with the original engine (1600). Swiss reg. no. : SZ 9025. Imported to UK, Sedgefield, in 1990. Unknown history until 1995 when previous owner found the car in Byker. The car was restored and rebuilt from original LHD to RHD in the period from 1995-2005. 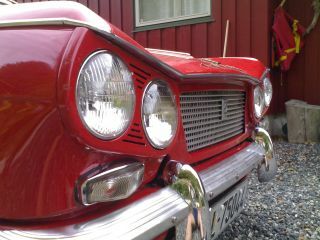 Some restoration has probably been done in Switzerland as it was imported to UK as a 'pretty good car'. The Vitesse was first registered (V5C) in UK in 2003, reg. no. : CCN 134B. The car was in this period upgraded with a 2l Mk II engine, gear box and differential, upgraded brakes and rear spring conversion. Resprayed (red) in 2000. I got in touch with previous owner (Hexham) via a classified in The Courier June 2005. Imported to Norway in December 2005. The story and pictures can be found here. Flew through the Norwegian MOT (EU kontroll) late december, and Norwegian plates were received January 4, 2006. 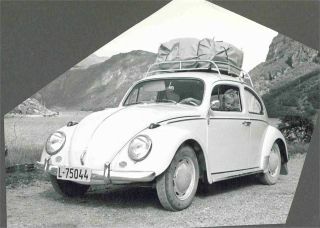 The plate L-75044 is the same number as my Dad's very first car; a VW Beetle, Year: 1964.